Flat-Tee™ is designed and manufactured with the two tee-heights most often recommended by golf professionals to hit irons and hybrids from the driving range mat or tee box. Players are assured of a consistent tee-height, every swing. Flat-Tee™ not only performs beautifully on all driving range mats, but also works great on the tee box of your favorite golf course. Using Flat-Tee™ ensures your ball is teed up to the correct height every time, helping you strike the ball with confidence. Flat-Tee™ is made from durable nylon plastic, and has a longer lifespan than traditional golf tees. 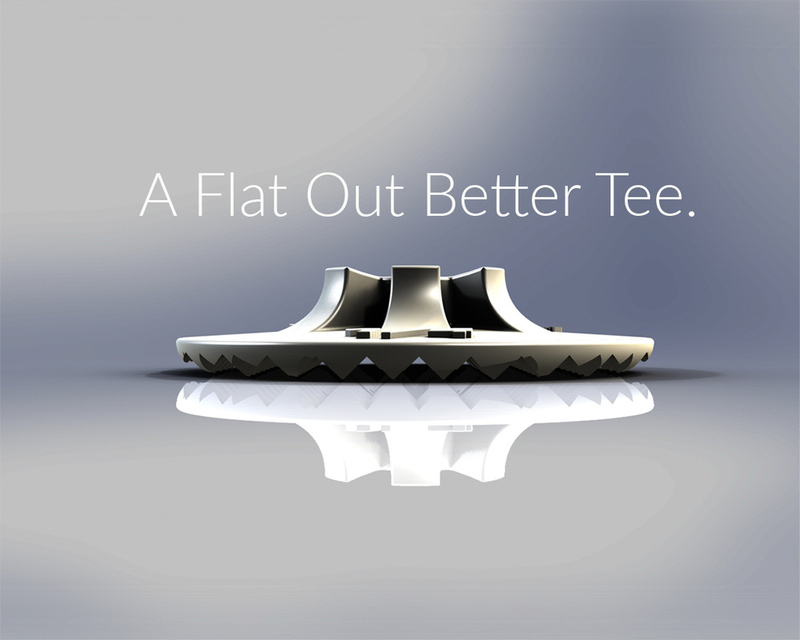 Without having to stick a tee in the ground, Flat-Tee™ simply pops up after your tee shot, rather than snapping. An idea so simple, yet so brilliant.